MJL offer high quality voice recording at a fraction of the traditional costs. 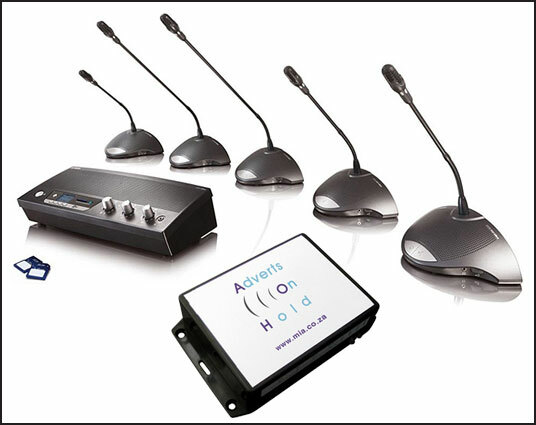 The applications extend to multi-seat traditional voice to IP-based voice recording. The typical products that are integrated with the PBX are normally Public Address Systems. This is typically used in larger environments where vast spaces need to be covered. Advert on Hold - A powerful and cost-effective tool to grow your business. How much business are you losing while your client is waiting? On-hold marketing is the easiest, most efficient and cost-effective way to pass valuable information along to your callers.Because the client has something to listen to while waiting, you avoid losing sales by your customer disconnecting. Furthermore, you can increase profitability and achieve brand exposure by informing clients of service they may not know you provide.